Earlier this year, I had the opportunity to head over to Auckland, New Zealand and catch up with Francis from CRS Crane Hire. CRS Crane Hire all started over a few beers, where Francis and his good friend Greg decided to give the crane hire business a go. A number of years, and several cranes later the duo is still going strong. Francis grew up on a farm in Napier, New Zealand. With his farming background, he headed to Australia’s countryside and spent some time in Australia’s version of the wild wild west. In 1999 Francis moved to Auckland New Zealand where he has been ever since. 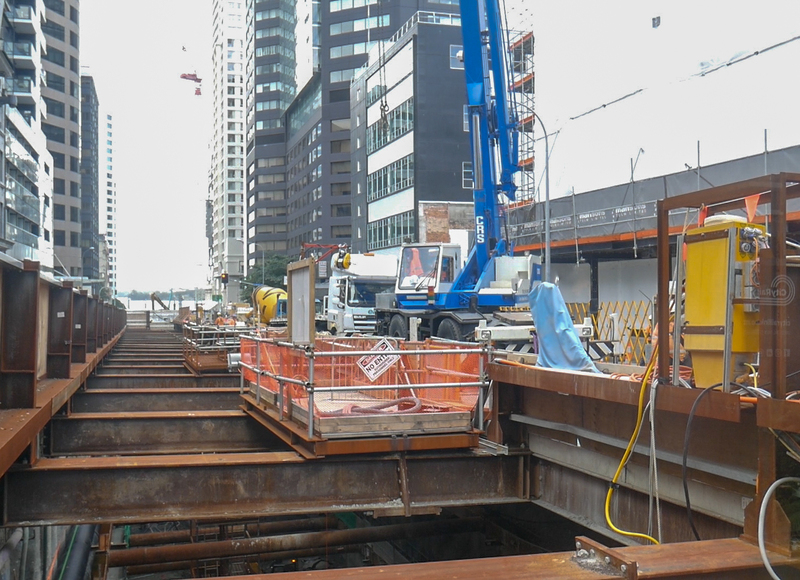 Currently, CRS is working on Auckland’s new subway system (City Rail Link), a first for New Zealand. 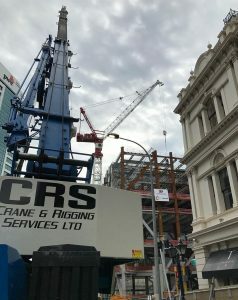 The section of the project that CRS has been working on runs through the heart of Auckland; where the construction is a cut and cover style of tunnelling. 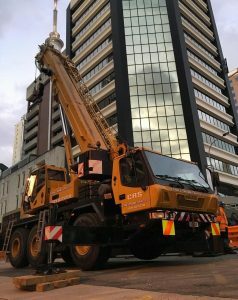 They have put their Kato KR25H-V to work throwing down whatever the workers below need. With the project progressing and CRS growth, the purchase of a new Grove RT550-E was the next step. Their Grove GMK 355, Greg takes care of what they refer to as their taxi hire service, travelling from site to site on short-term projects. Like all small business owners, Francis finds it hard to juggle the full-time work as a rigger and operator in the business while running the business. As they grow, Francis and Greg are finding it hard to hire good experienced workers highlighting New Zealand skills shortage. The skills shortage that New Zealand is experiencing is a similar experience around the world. Previous PostPrevious 007 – Ratcliff’s Landscaping, what age did you start in business?